As Twitter gains momentum (and active users) it can become more and more difficult to weed out the best handles to follow. Some are spam handles, some share off-topic news, but some are gems! Today, we’ve sorted through some of the more popular accounts, and we’re sharing with you our top ten twitter accounts relevant to small businesses. Offering a wide variety of news from the New York Times Small Business page, this handle offers articles ranging from accounting and insurance to marketing and retailing. Official handle for the Small Business Administration, this handle offers news, tips, and resources for the small business community. While the OPEN Forum shares news and discussions from a wide variety of topics, they also offer articles directly related to small business owners. Manta is an online community specifically for small business owners to connect and discuss issues surrounding the operations and management of a small business. This handle is a news aggregator for all things small business. 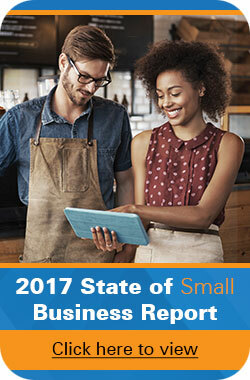 They also have their own website Small Business Trends where a variety of authors discuss topics relevant to small business owners. The official handle of the Wall Street Journal Small Business page, this handle provides links to business-related articles in the Wall Street Journal. For those who don’t already follow the Huffington Post, it is an online-only news provider. Their small business handle is a feed for articles posted on the Huffington Post Small Business page. The official handle of Duct Tape Marketing, this timeline is full of blogs direct from Duct Tape Marketing as well as other news relevant to the small business world. The official handle for the Mashable Small Business page, this handle tweets all articles from Mashable that are related to small business owners. And last but certainly not least: our own handle! We’re sharing small business tips, news, and offering the latest in barcode software and solutions, so you can quit surfing the web and spend more time running your small business. And those are our top ten small business handles that you should be following! Now, we’d like to hear from you. Leave us a comment below and let us know which small business Twitter accounts are at the top of your feed. Good list! I havn’t been following any of them on twitter yet. Thanks for including my Twitter account on your list with so many other great accounts. Woo — it’s heady to be on that list!!!! I would also recommend @SCOREmentors and @SmallBizLady. I’m echoing your mentions of SBAgov and OPENforum as worthwhile resources to follow. Not only do they give a corporate look at small business and some useful information, but their topics are a goldmine of inspiration for business blogging. And which one of us [small biz owners] doesn’t need to be on the ball with our online presence. The fact that no person really really comprehends how Google’s position works is usually absurd.It is possible to abide by every one of the so termed policies nevertheless get rewarded with the sudden. Many anybody needs is a system that is reasonable and also reliable. Thanks, Delmar. Did you intend for this comment to be shared in response to the Top 10 Twitter Accounts post?